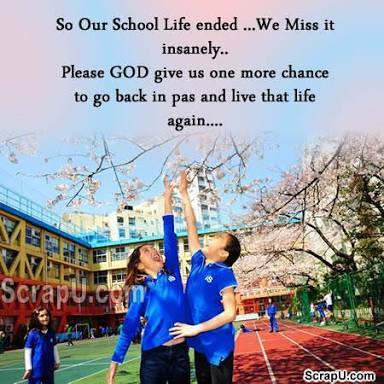 One day my soul went to school! Lingered sweet memories from mind pool! Huge playground ,a place of our leisure! That day I saw School Canteen crowded with buddies! With flooded emotions!With a heavy heart! Emotional post!!! It took me back to my school days!! Sometimes I wanna be little again..
Is my favorite 1 .. Very beautiful post…..I like it. Thank You sir 😊.Thanks for reading. Yes ,then share your school experience with us .We are also friends ,this whole community will love to hear your post . In those days we live carefree ,no future goals ,no hustle for exxagerating money . Thank you for your kind words.😊. I love this. Read the first post of my blog series. And please give me your honest feedback.